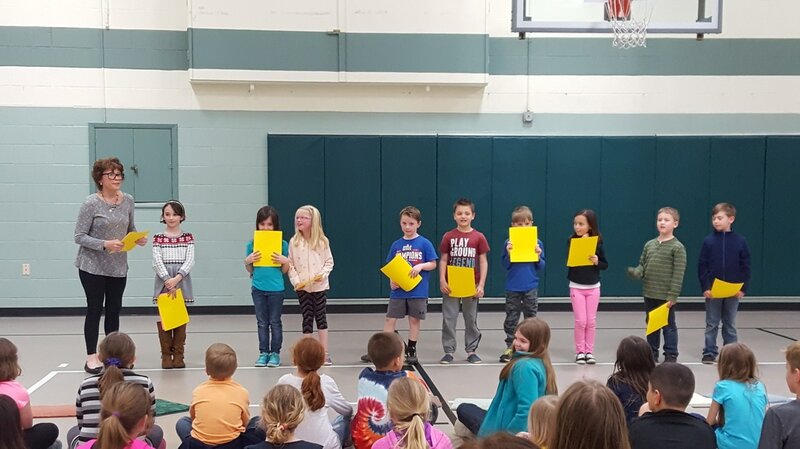 Grades 1-6 will meet Wednesday evenings or Sunday mornings. Grades 7 & 8 will meet Sunday evenings. Thank you for joining us for another year of faith formation. We are looking forward to another year of fun, faith and friendship! Please read the below information before filling out the registration. Jr. High students (7th & 8th grade) will be using the textbook series Faith Fusion from Our Sunday Visitor. This faith formation includes more hands-on activities, including service, and a discussion-based community. Home Study This option is available to families of children, grades 1 – 8, using the Finding God text book series. The time frame for home study is the same as class room study: Sept – April. 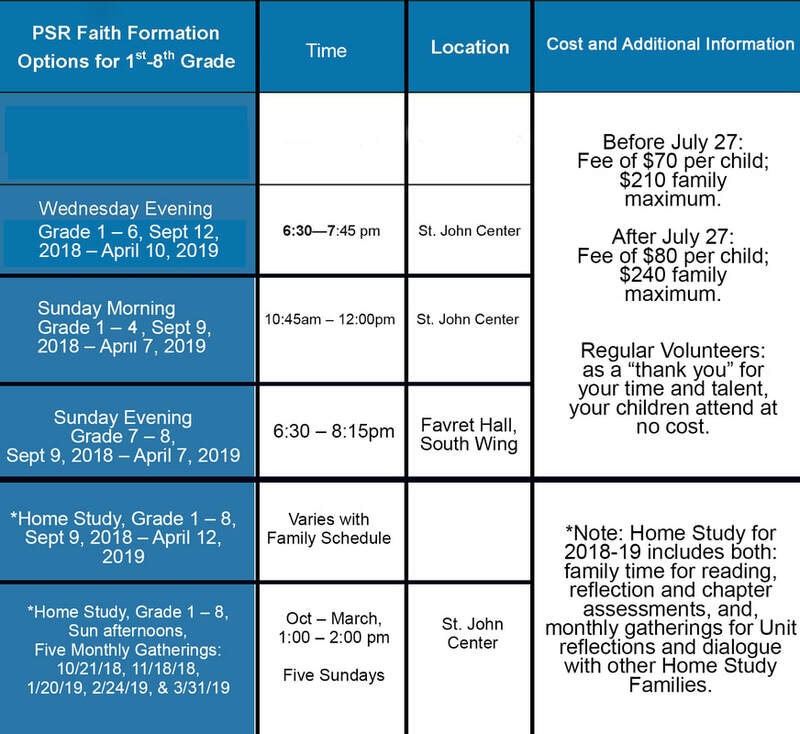 In addition there will be five Sunday afternoon gatherings throughout the year to review each of the five units of study, as well as giving families an opportunity to reflect and dialogue with other home study families. A great success over the years, Generations of Faith gatherings will occur twice next year (Fall: Oct 16 & 17, 2018 and Spring: May 7 & 8, 2019). All families in PSR, Grades 1 - 8 (classroom study & home study) are required to participate one night in the Fall and one night in the Spring. The success of our program depends on many volunteers, including catechists, co-catechists, assistant catechists, office assistants, and substitute catechists. Your help and time is needed and greatly appreciated. Please indicate any way in which you can help on the registration form. Books, supplies, and training are provided. Thank you in advance for your consideration and support. Please direct any questions or concerns to me at 513-777-6433 ext. 118 or mmontour@stjohnwc.org.